Emission Repair - Parker Automotive Inc. Looking for an Emission Repair Facility in Parker, CO? As part of the State of Colorado’s commitment to improving air quality in the Denver, Boulder and North Front Range; Air Care Colorado is implementing vehicle emissions testing. It is well documented that vehicles on our roads are a major contributor to air pollution which can lead to a long list of negative health effects. The vehicle emissions testing program has been designed to help reduce these harmful pollutants. For more information, you can visit the Air Care Colorado website. Parker Automotive Inc. is a registered Air Care Colorado Emission Repair facility located in Parker, Colorado. Failing an emission test multiple times is the last thing you want to happen, as retests are costly and time-consuming. If you want to avoid expensive retests, bring your vehicle to our highly rated emission repair facility. 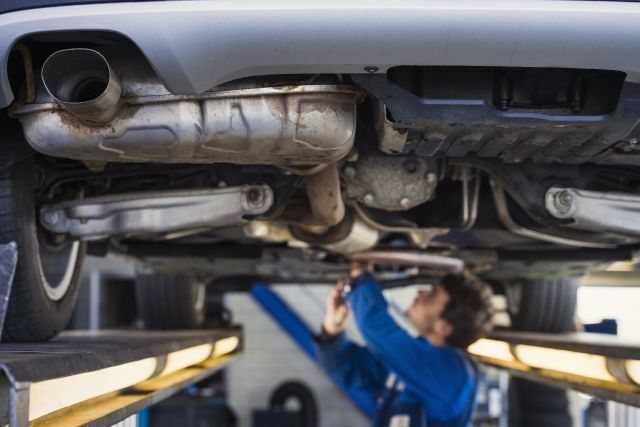 Our ASE-certified technicians will take care of the necessary emission repairs. Fill out our contact form today to schedule your emission repair service.